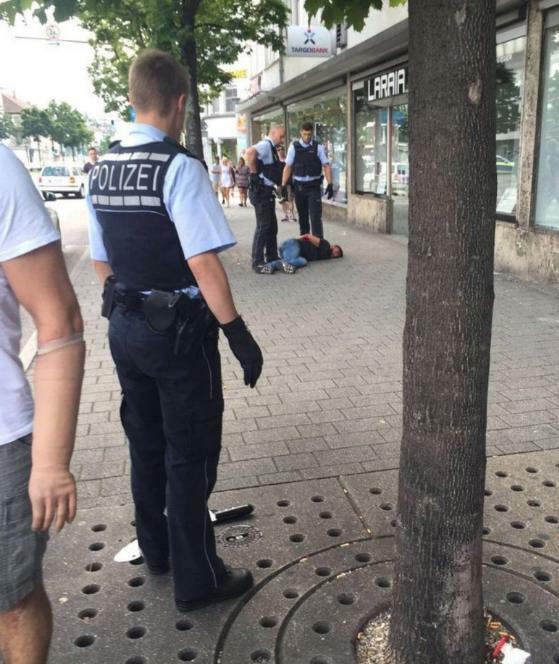 Kebab Killer at Turkish Shop in Germany linked to Islamic Network ? EuroFora > European POLICIES and ISSUES > Enlargement - Foreign Policy > Kebab Killer at Turkish Shop in Germany linked to Islamic Network ? Indeed, that "Kebab and Steak" Shop (where the bearded murderer obviously found that typicaly very long knife, that Media called "Machete") is listed at a big World-wide "Halal" website as being "Full Halal", doesn't serve Alcohol, and even has a ... "Prayer area" ! In addition, its Turkish owners, (who said they hired the killer because they wanted an "after-Ramadan momentum"), boast that they engage with their Kebab customers in "discussions about God" ! According to the latest infos at Global "Tripadvisor" famous website, experienced customers noted that recently the "owners had changed", that Kebab shop had become "different", its food worse and comparatively expensive, "smoke ...smells as if you have grilled yourself", and contacts with staff "really unfriendly" and "negative", to the point that some were "shocked”. Deadly Attack which Killed pregnant Woman took place at the "Central Bus Station". 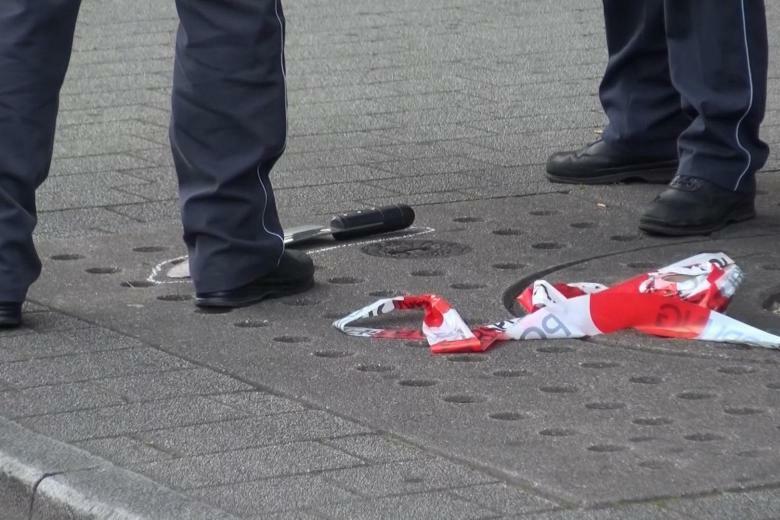 2 more Victims were Wounded while the Bearded Migrant from Syria was running away. He also Smashed Both Windows of a Car, and Wounded another Victim at the Turkish Kebab shop. Finally (?) the Number of Wounded People were Four (4), the Police acknowledged, on late evening. The Killer attempted to attack even a .... Police patrol car ! In fact it was almost ....the DOUBLE of what you said : Not only "45" but "80 cm long" ! 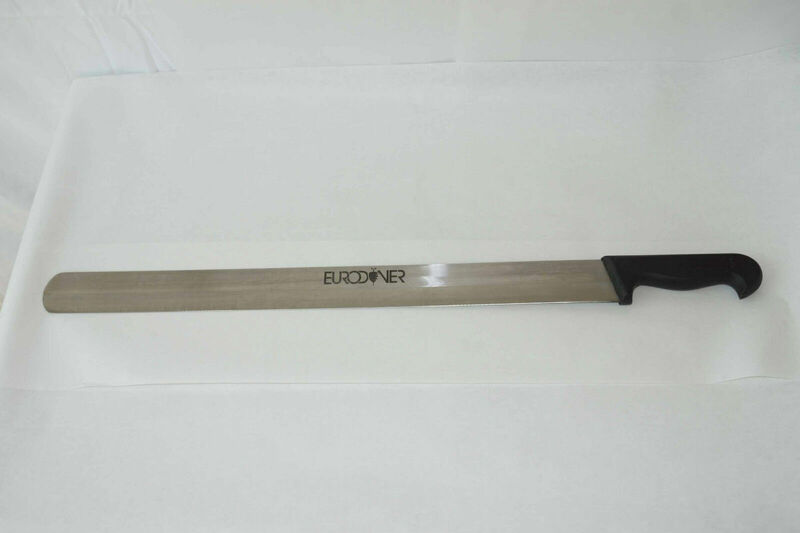 => The Killer grabed "a 80-cm-long knife from the Turkish Restaurant", noted the "Stuttgart Zeitung"'s journalist from the spot. Kebab Killer chassed People "Looking for More Victims" ! After Killing a Woman - by "slashing his weapon to (her) face"- the Murderer "also Wounded 5 other people". => In consequence, "Many People Fled in Panic! ", as "Bild" Media observed. >>> While he "was Looking for More Victims", running around, (as Videos proved), "Panic broke out in Reutlingen's center : "People Barricaded themselves, in Rooms, Appartments or Buildings", etc. (comp., f.ex. : http://www.bild.de/video/clip/amoklauf/machetenmann-toetet-schwangere-46974108.bild.html?wtmc=twttr.shr , http://www.bild.de/video/clip/amoklauf/machetenmann-toetet-schwangere-46974108.bild.html , http://www.bild.de/regional/stuttgart/machete/mann-bringt-frau-um-mit-reutlingen-reutlingen-46972048.bild.html , etc). Turkish Kebab Killer: Popular+Political Reactions started ! After Killing a Woman - by "slashing his weapon to (her) face"- the Murderer "also Wounded 5 other people". => In consequence, "Many People Fled in Panic! ", as "Bild" Media observed. >>> While he "was Looking for More Victims", running around, (as Videos proved), "Panic broke out in Reutlingen's center : "People Barricaded themselves, in Rooms, Appartments or Buildings", etc. While running around to attack various, unrelated People, and Smashing also the 2 Windows of a nearby Car, where a Couple was sitting inside, he even attacked ... a Police patrol car, Dear Svetlana ! Meanwhile, the new Polish Foreign Minister (twice) and even the Prime Minister herself (at least once) have just asked "clarifications" (etc) about such deadly affairs affecting their Citizens. 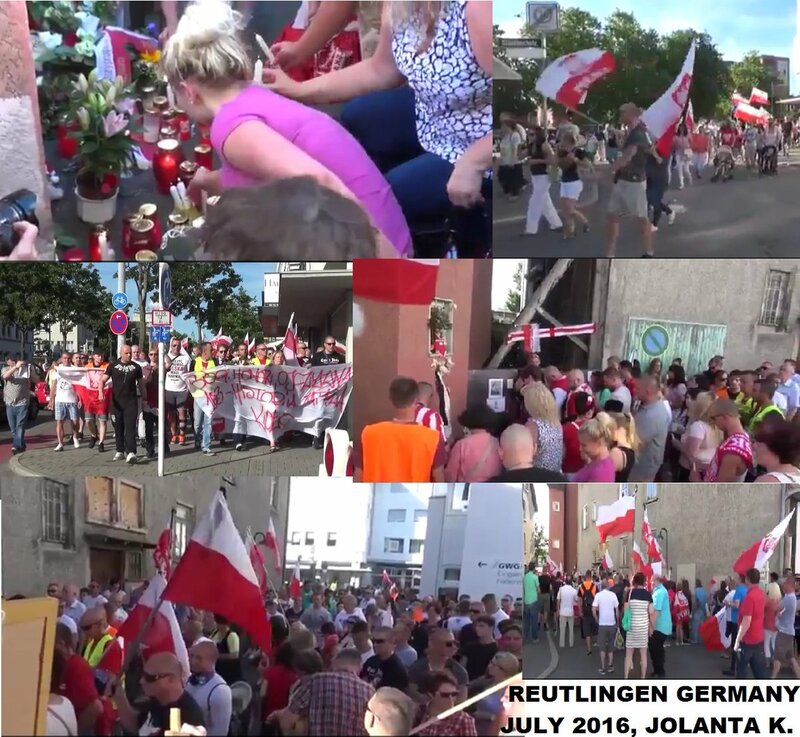 (In fact, until now, that brutal, machete bloody killing of Jola K. is the only one concerning a Polish living in Germany). But what most People don't seem to be always well aware of, are the astonishing Links to Islamic Fundamentalism in that strange Turkish Kebab Shop at Reutlingen (near Tubingen and Stuttgart), that HelmutD. has highlighted above. And, by searching, I also found some more such unusual links to what looks like "Salafism" and/or other kind of Islamic Extremism, there too, (from where came the Killer's long Knife, of which he abused as a Coward against a defenseless poor Woman), that we might share soon.